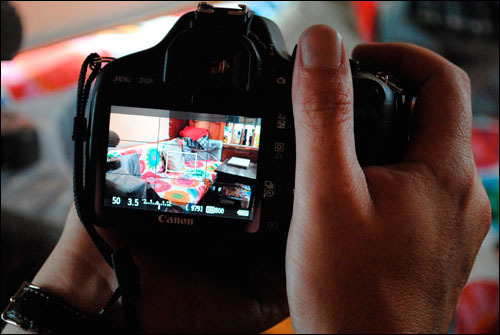 "How to shoot great movies with your DSLR Video Camera." DON’T LOOK A GIFT HORSE IN THE MOUTH - The chances are, if you bought a DSLR in the last few months, you would have received a surprising free gift in the form of a high definition video camera bundled in with the price. In this step by step guide, we will look at the basic principles of shooting high definition video on a DSLR, and a few simple tricks for getting some useful footage out of your free gift. 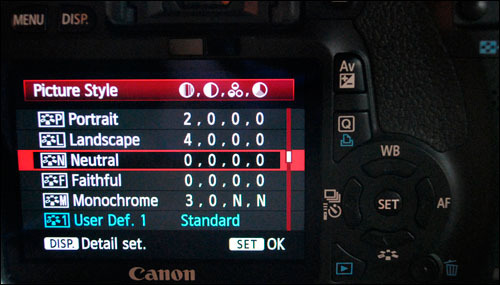 Example settings are based on a Canon EOS 550D, but most video capable DSLRs have similar functionality. Even though digital cameras have been popular for many years, I am still a devotee of the viewfinder, and find myself sneering at tourists holding their cameras at arms length and staring at tiny screens. Sadly however, if you want to shoot DSLR videos, this is something you are going to have to get used to. To record moving images, the camera sensor needs to be ‘live’, in order that it can receive continuous information from the lens. This state is called ‘live view’. To enable this, the 45 degrees mirror behind the lens, which reflects image forming light from the lens, via the pentaprism, into your viewfinder needs to be lifted out of the way, rendering that trusty viewfinder useless. The LCD screen on the reverse of the camera becomes your monitor, your only visual source for focusing and framing shots. 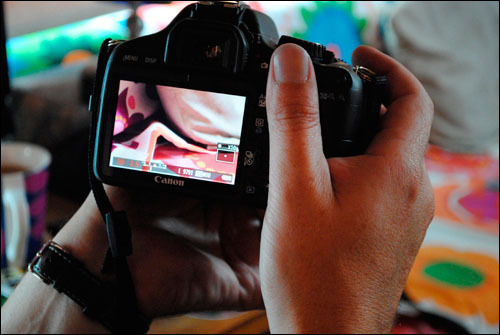 The auto focus systems found on DSLRs are generally not great for continuous auto focus while shooting video. In comparison to dedicated video cameras, they tend to be inaccurate, and noisy. This factor is most important in the context of shooting video, as you are likely to be recording sound and image simultaneously, and the last thing you want to record is the sound of your camera’s mechanics. If you try using continuous AF meanwhile, you will most likely all too often find the camera searching for focus lock, and this random back and forth shuffling won't look great on your final shot. 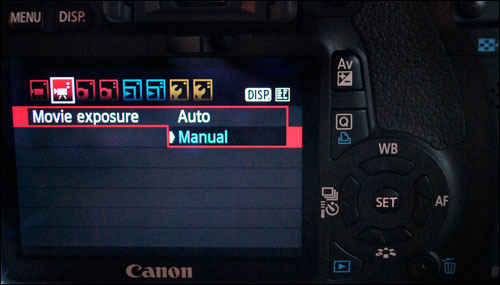 DSLRs usually have three main focus options for movie mode – continuous AF, single AF and MF. Continuous AF is currently not a practical option. Single AF can be useful, especially if you don’t intend to refocus during a shot; but generally the most versatile focus method of all is the manual option, which is helped by most cameras having the facility for zoom focus for checking focus accurately. There are major up sides to using manual focus. It encourages you to think a little more about the shots you are framing, and to ensure you have got that critical focus just right. It also means that old manual prime lenses you have gathering dust in the cupboard may get the chance to relive their glory days. 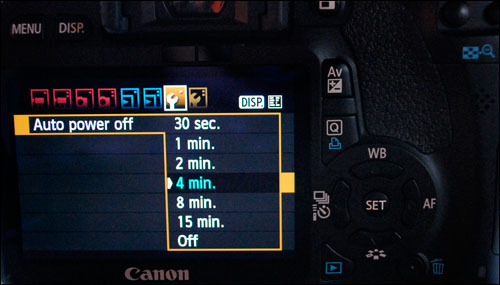 Your camera will most likely have an 'Auto' mode for shooting movies, but if you are lucky you will also be able to choose frame rates and have manual control over exposure. In the UK, the standard PAL video and TV frame rate is 25 frames per second (or 50i). You may well also have options for 24fps and 50fps. 24fps is often quoted by filmmakers as giving a more film like quality, but unless you are transferring to film at this speed, it is unlikely you will notice any difference. 50fps is used for shooting slow motion scenes, but this requires post production to import at that frame rate and slow it down. For compatibility and ease, I would use 25fps (either way - try not to lose any sleep over the many opinions on the 24fps versus 25fps argument). When shooting movies, you will usually want to aim for a slower shutter speed than you'd expect wherever possible, with your shutter speed ideally being exactly twice the frame rate, ie, 1/50sec if shooting at 25fps. The reason for not going for a high shutter speed is that the frame rate is fixed. If you increase the shutter speed, you do get a sharper still image, but with moving images you also increase the gap between the movement captured in each exposure. The higher the shutter speed, the more clipped and stroboscopic your movie will look (think of the fight scenes in Saving Private Ryan and The Gladiator). The human eye doesn't mind - even barely notices - a bit of motion blur, but it positively dislikes constant strobing. A slow shutter speed is therefore especially important if you are doing anything involving tracking or panning, or when shooting moving objects (quite the opposite to when shooting stills). The slower the shutter speed, the smoother your shots will look. You can use faster shutter speeds for specific effects, but remember that tracking and panning at high shutter speeds will be very jumpy, and probably unwatchable. Orson Welles described film as 'illustrated radio'. Watching film is a multisensory experience, and many academics cite the sound track as being responsible for as much as 90% of the final experience. With this in mind, most DSLRs are not the best devices for recording sound. The 550D that I am using has a small built in mono microphone and a jack for an external stereo microphone. The only sound options are ON or OFF. When ON, the sound is recorded with auto gain which - especially if shooting outside - renders background noise off-puttingly loud. So, if Welles and the academics are correct, expecting a fully satisfying movie experience direct from any DSLR recording is an expectation too far. To the DSLR skeptics, I would remind them this - on all movies, sound is recorded separately and the advice to photographers should be simply to be aware of this - do not expect professional audio results direct from your camera. Seriously consider adding a soundtrack to your finished recording and to record any crucial dialogue on a separate device. If you do record audio separately, it is still useful to record sound in camera as a guide audio track. 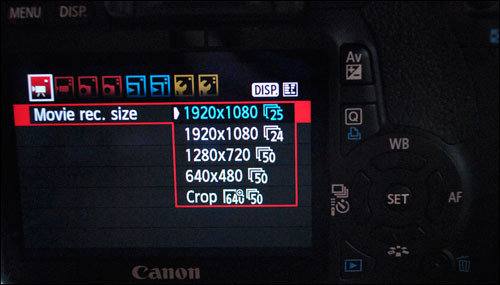 None of the current DSLRs offer a Raw equivalent moving image format. For this reason, making sure you have the basic picture profile and white balance etc, correct before you shoot is very important, as it will be encoded forever in your finished movie file. Increasing contrast and levels in post production is easier than reducing them, so going for a flat profile is beneficial. EXPOSURE: Manual if possible, with a shutter speed of 1/50sec. 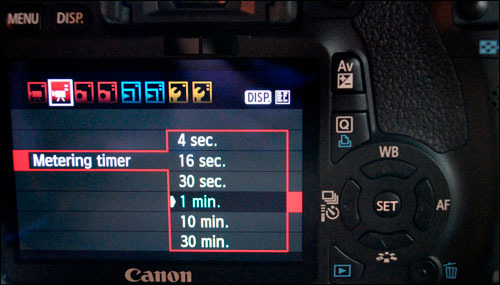 OPTIONAL: If you have the option of increasing the time that the exposure meter is displayed on screen, do this. 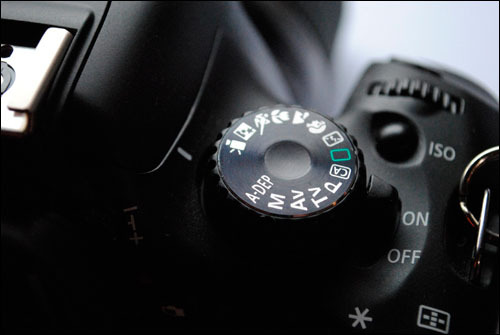 On a Canon EOS 550D, the meter is activated by the shutter button, which is not the same as the button which activates movie recording, so you can be forever switching back and forth to reactivate the meter. I would also do the same with any auto power off feature. A downside to high definition movie capture is that any shaky hand held footage will be recorded in full HD wibbly-wobbly glory. There's no hiding it at 1080p. That said, Canon’s lens-based image stabilisation copes very well with reducing the sharpness of hand held wobbles, as long as you’re not moving around too quickly or attempting over adventurous panning shots. Before getting disheartened by any handheld judders, consider using a monopod or tripod. When making your first moving images, maybe try thinking of the camera as a fixed object observing movement, as opposed to the camera being the moveable object. You will likely find this approach much more productive to begin with. Camera movement can create some very dynamic shots, but requires a lot of care, preparation and potentially expensive secondary equipment. When done badly, it can create some wonderfully high definition, unwatchable footage! In the same vein, first time filmmakers should err on the side of caution when it comes to shot length. As much as I love the opening shot from The Player - all 7mins and 47secs of it - unless you are trying something very specific or waiting to capture something elusive, shots should be kept short. Leave them wanting more. Ever since the name was coined, photography has been fundamentally about light and about capturing light at a moment in time. But light is constantly moving, and its effect on a subject changes over time. Your DSLR now has the capability to effectively capture some of that movement and some of that time. Surely it's your duty as a photographer to give it a go? Put your camera in movie mode at 25fps with a flat picture profile. Focus your subject. If you intend to pull focus - shifting focus from one element of your composition to another - practice first. Use the zoom focus function, if available, to check that your focus is spot on. Practice any intended camera movements before shooting. Any movement will look much better and be smoother if it has been considered beforehand. Press your movie capture button to begin shooting. Press it again to stop. "Article first published in the RPS Journal October 2010 - No reproduction without permission." Simple Steps to Edit your Video Footage. 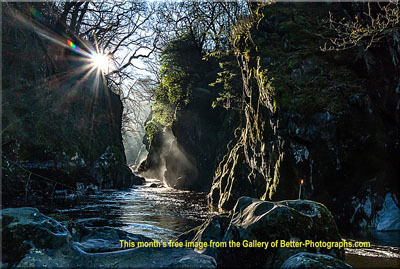 Return from DSLR Video to the Better Photographs home page.